We’re taking care of business first today in 3D Printing News Briefs, then moving on to education and a virtual 5k to support a worldwide 3D printed prosthetics volunteer network. Hyperlocal on-demand services marketplace Jugnoo has launched an online 3D printing store in India, and CalRAM has been acquired by Carpenter Technology. For the second year running, metal additive manufacturing company LPW Technology is among the 100 top-performing SME UK exporters, and Women in 3D Printing has introduced a new job board. Finally, ATLAB’s robotic teaching assistants are being used to help autistic students in the UAE, and Doctor Who fans have the chance to benefit e-NABLE by participating in a virtual 5k. Hyperlocal on-demand services startup Jugnoo is partnering with South Korean company GEM Platform to launch a new online 3D printing store, called Printo. Jugnoo, which got its start through its large network of auto-rickshaws, is GEM Platform’s exclusive Indian 3D printer reseller, and customers can use the Jugnoo app to order a customized 3D printed product or prototype from Printo, which will then be delivered by Jugnoo as quickly as possible. With Printo, the company will now be able to cater to sectors such as automotive, electronics, medical, and education, and plans to add different merchants from multiple cities to the platform. In order to strengthen its capabilities as a 3D printing solutions provider, Carpenter Technology, a top producer and distributor of premium specialty alloys, has acquired powder bed fusion additive manufacturing technologies leader CalRAM, which is based in California. “This strategic acquisition builds upon our existing additive manufacturing capabilities and provides direct entry into the rapidly expanding part production segment of the additive manufacturing value chain. The addition of CalRAM brings industry leading technology and processes coupled with a talented team and is a strong complement to Carpenter’s deep technical experience in producing highly engineered metal powders and wire for additive manufacturing applications, including mission-critical applications such as jet-engine fuel nozzles, rocket-thrust chambers, and orthopedic implants,” said Tony Thene, Carpenter’s President and CEO. “CalRAM’s proven expertise and strong customer relationships will accelerate and enhance our capabilities and will further strengthen our ability to be the preferred provider of end-to-end next generation additive manufacturing solutions. 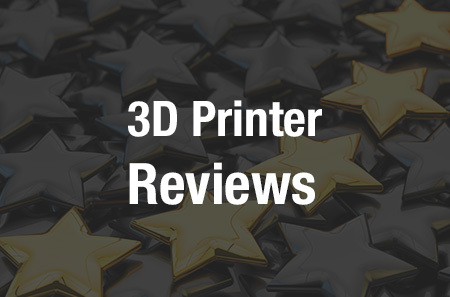 Based out of the UK, LPW Technology sees high demand from around the world for its end-to-end hardware and software 3D printing solutions, and its high-quality metal 3D printing powders. Now, for the second year in a row, the company has made it into the Sunday Times Lloyds SME Export Track 100, which ranks the private small and medium-sized (SME) companies in the UK with the fastest-growing international sales. In addition, LPW, which boasted a 30% increase in export sales over the last 12 months, is the only metal 3D printing company to make it on the list. More good news for LPW – the company will soon move its headquarters into a new £20 million purpose-built factory of the future near Liverpool, so that it can continue to serve the rapidly growing metal AM market. Its US subsidiary, LPW Technology Inc., has also relocated to a larger facility in Pennsylvania. If you’re searching for a job in the additive manufacturing field, look no farther than online platform Women in 3D Printing, which has just introduced a brand new job board. The organization was founded in 2014 by Sculpteo Business Development Director Nora Touré. Currently, the new job board has three full-time openings listed, all in California – first, Sculpteo is looking for a 3D Printing Technician to operate, manage, and maintain the most advanced 3D printers in the factory. FATHOM is looking to add to its marketing team with a Graphic Design and Communications Specialist who can continue developing the company’s brand, as well as an Account Manager to bring new partner Nano Dimension‘s innovative PCB technology to the market. 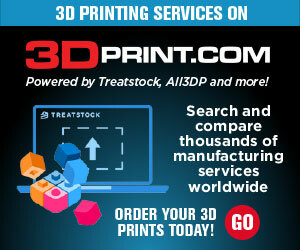 Stay tuned for further AM job openings on the new Women in 3D Printing job board. Interacting with one of ATLAB’s robotic teaching assistants. Technology-based learning solutions company ATLAB, which has put on the World 3D Printing Olympiad since 2016, is using robots to help children with autism in the UAE learn better and faster. The first edition of ATLAB Teach Assist, originally introduced during Global Education Supplies and Solutions (GESS) Dubai 2017, was deployed at a school in Sharjah last year. It performed so well during the pilot project that ATLAB Teach Assist 2.0, complete with advanced software upgrades, facial recognition, and the ability to teach coding, is now interacting with autistic children at the Umm Al Quwain Autism Centre, thanks to an initiative by the UAE Ministry of Community Development. “Robotic teaching assistants are changing the way the kids are taught. It enables children to be more interactive when compared to a human teacher. It is even more true with an autistic child,” said Nilesh Korgaonkar, General Manager, ATLAB. Calling all runners – why not use your next workout to do some good? The Whovian Running Club is for Doctor Who fans who like to run, and the 501(c)(3) Random Tuesday organization that founded it has raised over $1.9 million since 2014, donating 70 cents of every dollar – from shirt sales to registration fees – to its charity partners. Now, it’s donating the profits of its upcoming virtual 5k to help support worldwide 3D printed prosthetics volunteer network e-NABLE. The Handles virtual 5k is in honor of the Doctor’s longest-serving companion, and can be completed any time and anywhere you want. You’ll earn a cool Handles medal, which will be mailed to you when registration closes in March, while supporting a worthy organization at the same time. The proceeds raised from the event will help provide necessary materials and supplies to create more 3D printed e-NABLE devices in under-funded areas like Sierra Leone and India, support the global e-NABLE community, and create a Summer Camp experience for kids who need a 3D printed device and want to be paired with a designer. Join our Editor-in-Chief and several hundred other registered runners and Whovians around the world in the #Handles5k.